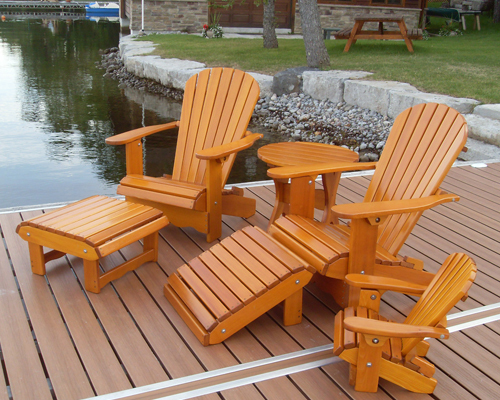 This adjustable ottoman perfectly matches the Royal Adirondack Chair but can also be used as an extra chair or table. 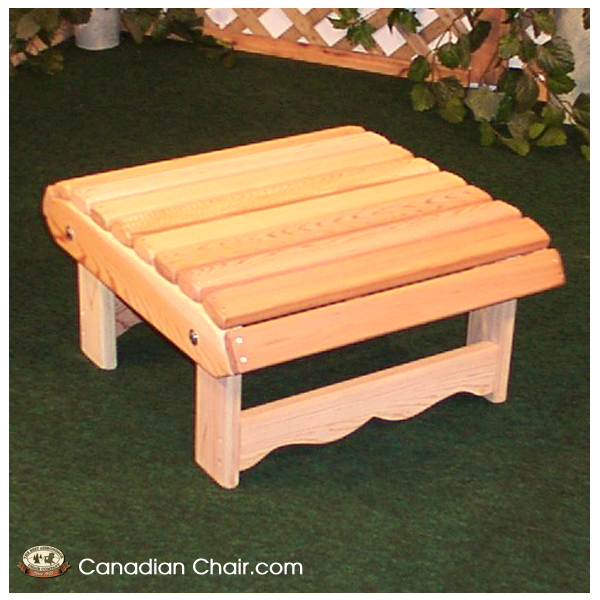 The Royal Ottoman is 56 cm wide, 63 cm long and 31 cm high. 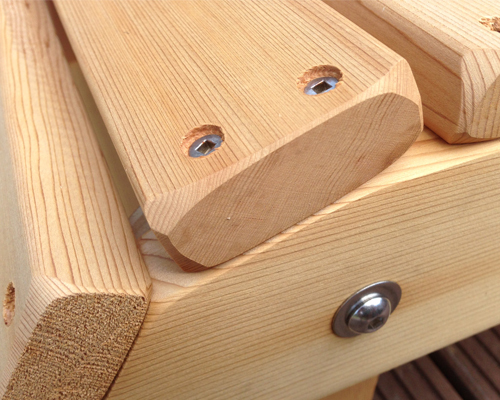 The 10 slats on top are 60 mm wide. 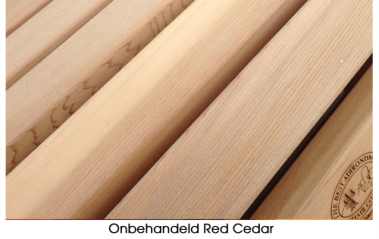 The western red cedar wood is 25 mm thick and FSC certified. 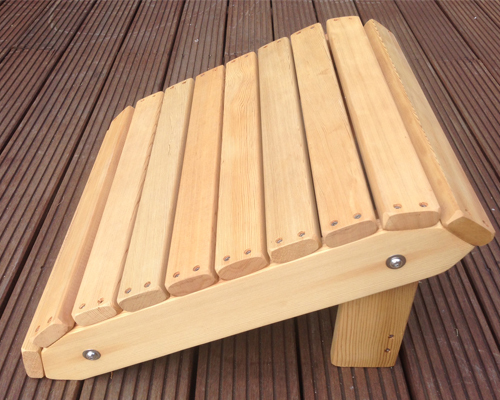 The ottoman is delivered untreated as standard but is also available with a beautiful finish of 4 layers! 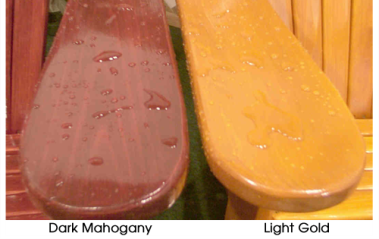 Sikkens stain in Light Gold and Dark Mahogany. 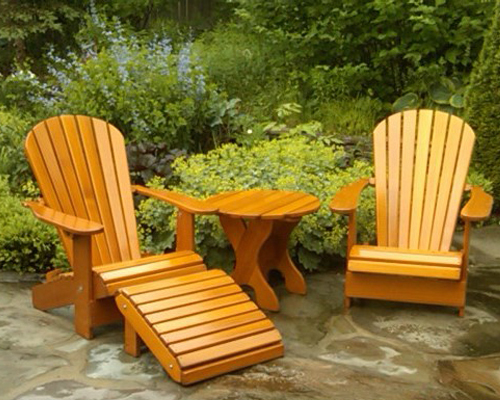 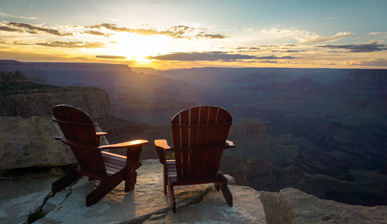 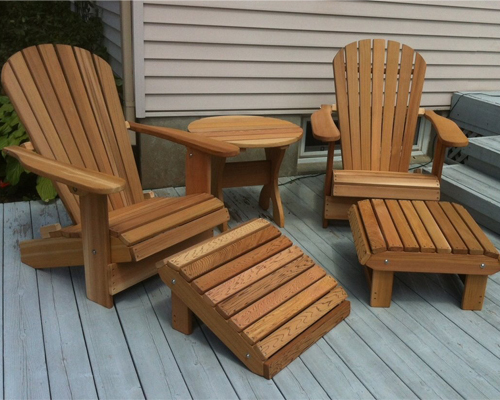 with the two pairs of legs down: the ottoman can be used as an extension of the Classic Adirondack Chair or as an extra table or chair. 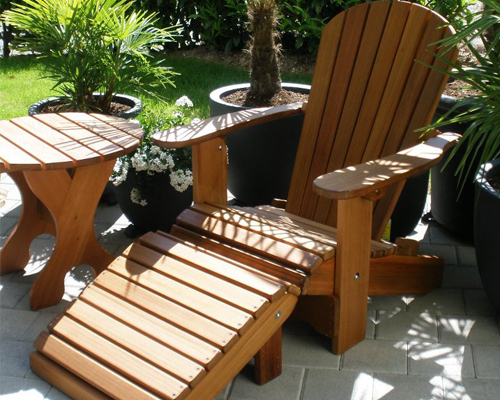 folded with 1 pair of legs: in combination with the Classic Ottoman you can transform your Adirondack Chair into a perfect and comfortable lounge chair.